Going back to school is a major commitment, both in terms of finance and time, so it’s important to make sure that you’re going back for the right reasons, and that the expectations you set for yourself are realistic. Here’s a quick list of the questions you should be asking as you start thinking about returning to school, and tips for finding answers. With the proper planning and patience, you should have no trouble switching bank accounts without incurring any extra fees or headaches. Here’s our quick guide on closing a bank account and switching banks. Trim will now have the opportunity to incorporate credit card bill payment as an additional feature, alongside subscription cancellation, bill negotiation, and financial health tracking. Out of the many impacts that come with unpaid medical bills, damage to your credit score is one of the most consequential. 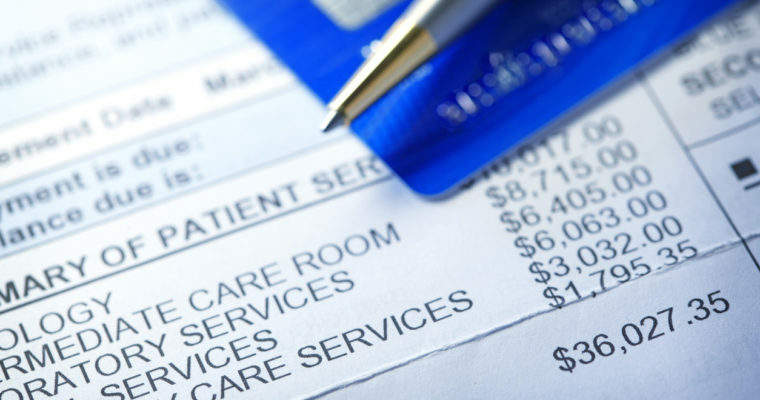 Technically, a medical bill can not be included in your credit report, but once your account remains unresolved after 180 days, the owner of the debt–typically, a hospital or a doctor’s office–can sell the outstanding amount to a debt collector. At that point, the debt collector can (and probably will) report your debt as delinquent to all three credit agencies, thereby harming your credit score. If you’ve noticed something awry in your credit report, there’s a lot you can do to take action and fix the problem. A well-composed credit dispute, first and foremost, should help you get back on your feet in no time. Money isn’t always a laughing matter, but there are so many jokes out there that can give anyone reason to chuckle about their finances. Here, we’ve put together a list of the funniest jokes about money so that you can have fun while saving up. If you’re in the process of paying off a credit card debt but feel like your interest rate is too high, you have the option of negotiating your Annual Percentage Rate (APR) with your credit issuer. When you feel ready to talk to your credit card company, dial the customer service number on the back of your credit card, then choose the options that will route you to speak with a representative. When the representative picks up, here are some tips that can help you negotiate. When people find themselves in a lot of credit card debt, they tend to think it’s best to financially prioritize those debts and pay them off as quickly as possible. Credit card customers will put all of their extra income toward their balances in the hopes that, with enough hard work, they can climb out of their financial hole in the next few months. Whether you’re supporting a family while working a full-time job or simply spending a bit too much on nights out, waiting for the next paycheck to roll around just to pay the bills is never a great position to be in. And while it might feel like a burden, living paycheck-to-paycheck doesn’t have to mean much in regard to your overall financial outlook. If you don’t have citizenship, permanent residence, or a worker’s visa in the US, then you’ve probably found yourself in a difficult position when asked to present a Social Security number. Not having a Social Security number can be a major obstacle when applying for jobs, loans and credit cards, but that doesn’t mean it has to be a dealbreaker for your finances. So if you didn’t pay the IRS enough money over the course of 2018 — either because you underestimated your income or you failed to pay altogether — there’s a good chance you owe taxes and late fees.